A spirit of rebellion is not just a characteristic of the undisciplined child and the teenager. Most people, regardless of age, find it hard to submit to others. To submit requires a spirit of humility which is the opposite of a spirit of rebellion. Humility or meekness is a characteristic of the Holy Spirit. Rebellion is an evil spirit. Rebellious or un-submissive people despise those in authority. They don’t want anyone to tell them what to do or how to live. They want to be in control of their life and they seek self-satisfaction. They cannot imagine the joy and power that exists in submission. God wants us to have joy, peace, and a blessed life. That is why God wants us to submit to Him and to others. 1 Peter 2:13-23 Be subject for the Lord’s sake to every human institution, whether it be to the emperor as supreme, or to governors as sent by him to punish those who do evil and to praise those who do good. For this is the will of God, that by doing good you should put to silence the ignorance of foolish people. Live as people who are free, not using your freedom as a cover-up for evil, but living as servants of God. Honor everyone. Love the brotherhood. Fear God. Honor the emperor. Servants, be subject to your masters with all respect, not only to the good and gentle but also to the unjust. For this is a gracious thing, when, mindful of God, one endures sorrows while suffering unjustly. For what credit is it if, when you sin and are beaten for it, you endure? But when you do good and suffer for it, if you endure, this is a gracious thing in the sight of God. For to this you have been called, because Christ also suffered for you, leaving you an example, so that you might follow in his steps. He committed no sin, neither was deceit found in his mouth. When he was reviled, he did not revile in return; when he suffered, he did not threaten, but continued entrusting himself to him who judges justly. Peter wrote this epistle during the days of great persecution under Roman emperors. Emperor Nero was one of the most notorious rulers of all time. He would have Christians covered in pitch and tied to poles. As the sun set, these Christians were set on fire and became human torches. During this time, Peter was unjustly imprisoned. Nevertheless, Peter told Christians to submit and show honor to the emperor for the Lord’s sake and because it was God’s will. Paul was also unjustly imprisoned, and he agreed with Peter. Romans 13:1-7 Let every person be subject to the governing authorities. For there is no authority except from God, and those that exist have been instituted by God. Therefore whoever resists the authorities resists what God has appointed, and those who resist will incur judgment. For rulers are not a terror to good conduct, but to bad. Would you have no fear of the one who is in authority? Then do what is good, and you will receive his approval, for he is God’s servant for your good. But if you do wrong, be afraid, for he does not bear the sword in vain. For he is the servant of God, an avenger who carries out God’s wrath on the wrongdoer. Therefore one must be in subjection, not only to avoid God’s wrath but also for the sake of conscience. For because of this you also pay taxes, for the authorities are ministers of God, attending to this very thing. Pay to all what is owed to them: taxes to whom taxes are owed, revenue to whom revenue is owed, respect to whom respect is owed, honor to whom honor is owed. Both Peter and Paul were executed during Nero’s reign; yet their words and their submission to authorities, inspired by the Holy Spirit, give power to the souls of Christians today. Jesus did not qualify His command to give to Caesar only if Caesar is good or if you agree with Caesar. He told us to give rulers what is due them, and that includes taxes and respect. Even though a Christian’s citizenship is in Heaven, we are to still accept the authority of our earthly government. But Jesus also said to give to God what is God’s. Neither Peter, Paul, nor Jesus were saying that we should compromise our faith in our submission to government. Therefore, submit to government authority until it commands you to disobey God. Be prepared for the consequences, and be a good witness of Jesus Christ when the punishment comes. The days of persecution are upon us again. Christians are losing their jobs, denied positions, accused of crimes, facing lawsuits, and accused of hating because they obey God rather than men. When it happens to you, be like Jesus. For to this you have been called, because Christ also suffered for you, leaving you an example, so that you might follow in his steps. He committed no sin, neither was deceit found in his mouth. When he was reviled, he did not revile in return; when he suffered, he did not threaten, but continued entrusting himself to him who judges justly. Peter also said a Christian should submit to his employer. Servants, be subject to your masters with all respect, not only to the good and gentle but also to the unjust. Some people have good bosses and some have bad bosses. I would guess that the majority of workers do not particularly like their bosses. Why? Because the boss tells us what to do, and we don’t like to be told what to do. That is a spirit of rebellion. Sometimes we may suffer wrongfully on the job. Are we to get back somehow at our boss? No, we are to endure it, and if we do, God will be pleased. However, sometimes we can bring suffering upon ourselves. If a person is caught stealing from his boss and is fired, his suffering will not be pleasing to God because he deserves punishment. We understand that, but why should we endure unjust suffering? Again we read, For to this you have been called, because Christ also suffered for you, leaving you an example, so that you might follow in his steps. What a powerful way to exemplify Christ to our fellow employees and to our boss by submitting to his authority even when he may be unjust. We have the example of Christ’s submission to help us in this situation. Jesus did nothing wrong. He suffered not for His own gain, but for ours. He suffered so that you and I might have eternal life. If others see you endure unjust suffering, you will be witnessing for Christ in a way that speaks much louder than words. Peter continued in the next chapter, charging wives to be submissive to their husbands. 1 Peter 3:1-7 Wives, likewise, be submissive to your own husbands, that even if some do not obey the word, they, without a word, may be won by the conduct of their wives, when they observe your chaste conduct accompanied by fear. Do not let your adornment be merely outward--arranging the hair, wearing gold, or putting on fine apparel--rather let it be the hidden person of the heart, with the incorruptible beauty of a gentle and quiet spirit, which is very precious in the sight of God. For in this manner, in former times, the holy women who trusted in God also adorned themselves, being submissive to their own husbands, as Sarah obeyed Abraham, calling him lord, whose daughters you are if you do good and are not afraid with any terror. Husbands, likewise, dwell with them with understanding, giving honor to the wife, as to the weaker vessel, and as being heirs together of the grace of life, that your prayers may not be hindered. Many feminists today say that the Bible degrades women, but nothing could be further from truth. Nothing has done so much to raise the status of womanhood and motherhood than the teachings of Jesus Christ. Where the message of Christ has permeated, women have been ennobled and respected as human beings made in the image of God. Nevertheless, I have been told by brides-to-be that they didn’t want the words “to obey” or “submit” in their wedding vows to their husbands. That is a rebellious spirit and it’s unbiblical. Since the fall of mankind, God’s ruling has been that a wife be submissive to her husband. This does not mean that the husband is superior to the wife because he is the head of the home. A husband and wife are to be one in spirit, soul, and body, but a body does not have two heads. There is equality between the husband and wife despite their different responsibilities. However, it is not the husband’s job to make his wife submit. This submission, on the part of the wife, is to be in obedience to the Lord. Ephesians 5:22 Wives, submit to your husbands, as unto the Lord. Therefore, a wife’s rebellion against her husband is rebellion against the Lord. I hear Christian wives excuse themselves from submitting to their husbands because he is not a Christian. Peter is addressing that very situation and explains why that excuse is not valid. A wife’s submission has the power to witness to her husband, to bring conviction, to change his mind, and to show the love of Jesus Christ for him. I know you sisters have many questions about submission to a husband. I cannot answer all your questions with a sermon. However, I will be glad to give you a book, written by a woman, which addresses all your questions, including those about abuse and unlawful commands. Also, if you desire it, someone can teach a class to women, using this book which is full of Scripture. Nevertheless, I can safely say that your objection to submission is not really that your husband may ask you to rob a bank. The problem is a spirit of rebellion and a spirit of fear. Like the Israelites, you are afraid to enter the Promise Land. You are afraid to submit, to relinquish control, and to trust God to lead your husband. So you don’t obey God, you don’t enter the Promise Land of a blissful marriage, and you suffer the consequences of rebellion: i.e. strife and contention in the home, rebellious children (guess who they learn that from), mental and physical stress, unfaithfulness in the marriage, hurt, bitterness, insecurity, a divorce, and more. Sisters, you won’t realize the power you have in submission until you obey God and submit. If your husband knows you will submit to whatever decision he makes, he will seek your advice before making a decision. He will consider you his helpmate instead of an adversary. On the other hand, a husband is to submit himself to loving his wife. Brothers, if you are going to be king of your home, then you better honor your wife as queen, not as a slave or servant. Husbands are to love their wives. This requires as much self-sacrifice as submission to a husband does. I dare say, most men don’t know what it means to love their wife. Love is not what you do in the bedroom. You don’t show love in the bedroom unless you truly love her. Love causes a husband to give up his life, his independence, and consider his wife instead satisfying self. Every decision will be made considering her security and other consequences to her. Furthermore, 1 Corinthians 13:4-7 Love is patient, love is kind. It does not envy or boast; it is not proud. It is not rude, it is not self-seeking, it is not easily angered, it keeps no record of wrongs. Love does not delight in evil but rejoices with the truth. It always protects, always trusts, always hopes, always perseveres. Do you love your wife like this? A husband can honor and love his wife without giving up leadership. To have power in prayer, he must love his wife; otherwise, God will not hear him. If God seems distant, Brother, repent and submit yourself to obeying God and loving your wife. Peter goes on to say that every Christian should respect other Christians, for there is a powerful testimony among us when we submit our desires out of love for one another. Notice what submission to one another does. 1. We have unity of mind—not because we all think alike—but because we have humble spirits that respect each other’s thoughts. 2. We sympathize with one another because our tender hearts love one another. 3. We don’t seek revenge in words or action. Instead, we bless one another, even those we don’t like or those who don’t treat us right. 4. We seek peace with one another so that our prayers will be effective. Rebellion destroys relationships and separates us from God. It makes us vulnerable to demonic attack and has terrible consequences. On the other hand, there is joy, peace, safety, and power in submission. 1. 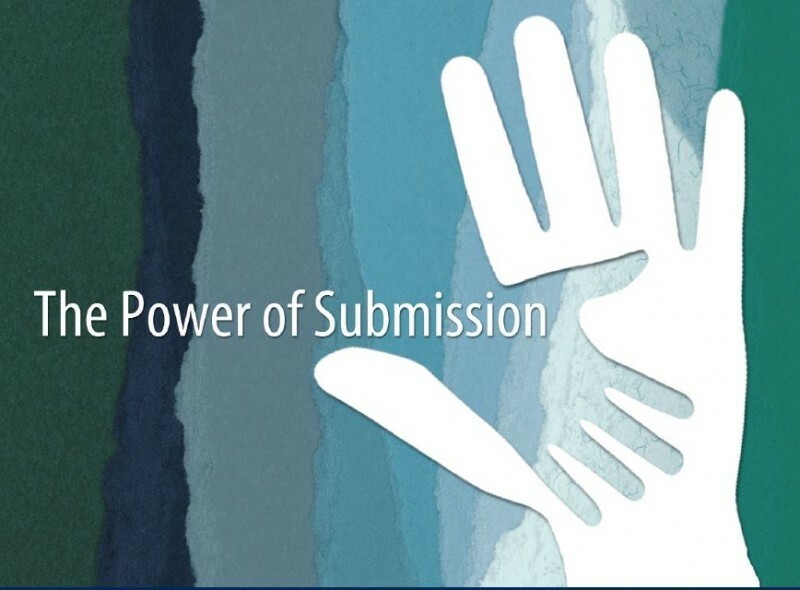 Submission is a powerful testimony to the unsaved (other citizens, employers, family). 2. Submission makes our relationships with teachers, fellow students, fellow workers, and friends and family better. 3. Our submission to other authorities actually shows our submission to God. Therefore, God hears our prayers. 4. Submission gives us power over the enemy, demonic spirits, and especially the spirit of rebellion. A rebellious sin nature abides in every person. We are born with it. However, we have a savior and a deliverer. Jesus atoned for our sin on the cross, triumphing over Satan, death, and our rebellious sin nature. When Jesus saves and delivers us of all evil spirits, He sends the Holy Spirit to be in us and to give us a new character, like Himself, that loves and obeys the Father. If you have the desire to submit your life to Jesus Christ, believe in Him and confess your faith publicly, repent of your sin and self-rule. Begin following Jesus by submitting to baptism. Then you will be born again by the Holy Spirit, who will give you power through submission.